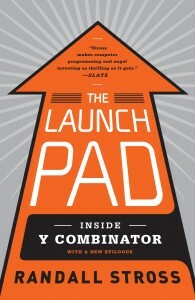 I just finished reading Randall Stross's The Launch Pad: Inside Y Combinator, a great accounting of the origins, growth and successes of the seed accelerator company that helps "budding digital engineers." This blog post is a little bit book review, but mostly highlighting the wisdom that Y Combinator seems to capture and employ in its work helping startups succeed. 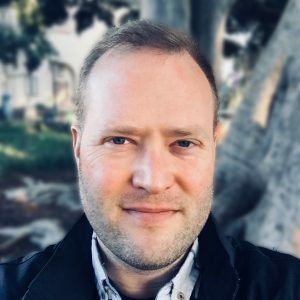 I could not help but take in that wisdom and Stross's stories through the lens of my own experiences creating a tech company, and while I felt affirmed in having learned a lot of the things that Y Combinator tries to teach its program participants, I also had plenty of forehead slapping moments about things I wish I'd understood better. I think some of those tidbits are very relevant to what I'll do next, and present day efforts to invigorate the local tech economy here in Richmond, so I'm including some comments on them here too. If you don't already know about Y Combinator, I encourage you to check out their website, or watch this very recent interview with Paul Graham, who has headed the company's efforts most of this time. The bottom line is that they host a three-month program in Silicon Valley to help startup companies with the money, advice and industry connections they need to go from concept to initial implementation, ready for investors to take them to the next step. As Stross describes, they focus on admitting young groups of founders who are going to bring the hard work and innovation needed for success, even if their initial idea for a startup isn't sound. If you use Dropbox, you're benefitting from a startup incubated at Y Combinator. One useful distinction the book makes early on is the difference between "creating a small tech. business" and "creating a tech. startup." Graham says that startups have to be designed for scale, so "a programmer who decides to open a consulting business to help clients build Web sites is starting a small business, not a startup. But a company that sets out to build software that automates the creation of those Web sites, a product that has the potential of being distributed quickly and broadly on a mass scale, fits the definition of a genuine startup." And scaling quickly is key to startup success - Y Combinator looks for its companies to attain 10 percent week-over-week growth by some significant metric of its existence. If they weren't working toward a hockey stick graph for growth, they needed to switch business ideas. "We wouldn't be doing founders a favor by letting them stay in Nebraska. Places that aren't startup hubs are toxic to startups. You can tell that from indirect evidence. You can tell how hard it must be to start a startup in Houston or Chicago or Miami from the microscopically small number, per capita, that succeed there. I don't know exactly what's suppressing all the startups in these towns—probably a hundred subtle little things—but something must be. Maybe this will change. Maybe the increasing cheapness of startups will mean they'll be able to survive anywhere, instead of only in the most hospitable environments. Maybe 37signals is the pattern for the future. But maybe not. Historically there have always been certain towns that were centers for certain industries, and if you weren't in one of them you were at a disadvantage." It was impressive to hear about the number of times Y Combinator's advisors could make a quick call to someone from a major tech company down the street who could immediately help one of the startups get unstuck on something critical. Or the ease with which they introduced wealthy investors to the mix. Just having access to other models of startup creation and development, just being able to sit in a room with other people who had been there and done that, seemed incredibly useful at every step of a startup's development. "I think you only need two kinds of people to create a technology hub: rich people and nerds," Graham has written. To Stross he notes that "[n]erds congregate in places that host a leading department of computer science--and also places that 'tolerate oddness,' because 'smart people by definition have odd ideas.'" As I read that, I certainly thought back to all of the ways in which my company chose to locate in a place where we did not have those particular resources. We had friends, family and community who supported us and cheered us on, we had a low cost of living that made our initial investment go a long way, and we had a few local business/tech resources we could call on for help when we got stuck. But if we needed operational advice, strategies for growth, and industry contacts to help make it happen, we were largely on our own; Richmond, IN was not (and still isn't) a startup hub. It sometimes struggles to tolerate (let alone embrace) oddness and risk-taking. I don't regret creating a company where we did, but it's also helpful to recognize that we devoted a big chunk of critical startup time and energy to overcoming that lack of environmental resources instead of benefitting from them. This is why most of our peers interested in creating tech companies at the time moved to places where that density existed. I was initially surprised at how willing Y Combinator and its advisors are to take on startups with business model ideas that to me seemed silly, totally unfeasible, or just downright unnecessary. Publishing printed photo books? Going up against PayPal to do online payments? But Stross showed time and again how starting with founders who are passionate about making a difference in some field was largely all Y Combinator needed to start shaping those startups into really exciting things. Graham and his colleagues were not shy about telling founders why a particular incarnation of an idea wouldn't work, prompting them to revisit it or throw it out completely and start over. But they also weren't afraid to encourage a company to disrupt a problem space that no one even thinks need solving. And so several Y Combinator startups left the program with completely different business models in completely different problem spaces than when they first applied. YC partner Harjeet Taggar says, "Essentially, it's way better to make the wrong decision than it is to make no decision at all. Obviously, the idea that you work on is important. But try and pick things where the cost of failure is low and the cost for you is basically time." "Ask yourself: 'What do I wish someone would start a startup to do for me?'" says Graham. "The next best thing: something for someone else that you know is a problem." Based on Stross's telling, Y Combinator is clearly at or near the center of the universe for startup technology companies. They're there because they're willing to invest smartly for the long term in good people and then apply their almost magical combination of personal experience, operational wisdom, proximity to other useful models, and tough love. The Launch Pad describes a place that anticipates unruly people making crazy dreams coming true, when so much of the rest of the business world relies on formula, predictability and short-term results. I learned a lot from reading this book, and it helped me think about what I would do differently from my experience with Summersault if I were creating a technology company again today. If you're someone who thinks about what it takes to help startup tech companies succeed, or are just interested in some of the inner workings of how a tool like Dropbox gets off the ground, I recommend it to you. "All beginnings embody hope," Stross writes, "and Y Combinator gives birth to beginnings by the dozens--with the propulsive power of Software is eating the world at their backs...Like newly minted graduates, the founders step out into the daylight with nothing but possibility ahead." Y Combinator is now accepting applications for their Summer 2014 program.